Does your home have vinyl or aluminum siding that's looking like it could use a little pick-me-up? You cannot imagine how much dirt and soot can cling to your siding and if painting is not an option, we have a solution. Pressure washing can make a big difference. Pressure washing is right for you if you're getting ready to paint your home and want to make sure its washed properly to get the best adhesion for your new paint job or if you want to make sure mold and mildew and other stains are killed and removed before you paint. Don't forget, prep is one of the most important part of a paint job! Pressure washing is also right for you if you have a stucco or brick home with dirt and mildew build up. How about that dirty pool deck, or mildew on your patio, maybe you just want to brighten up your sidewalk and entrance way, again, pressure washing is definitely the way to go! 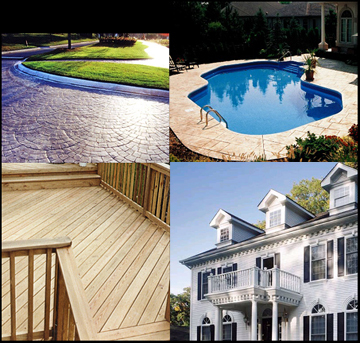 HOT or COLD Pressure washing are great solutions for cleaning up problem areas around your home or office.